Available in sizes 6" and 8"
Exposed vent lines can detract from the beauty of your heating appliance and your room's decor. This decorative stove pipe collar gives your stove pipe a more refined look and covers up unattractive seams where the pipe fastens to your appliance. Not only is this accessory lovely, but its 24-gauge steel construction and 1-year manufacturer's warranty guarantee it is also durable. This stove pipe collar is available in 6 or 8 inches in diameter and requires 18 inches of clearance to combustible materials. 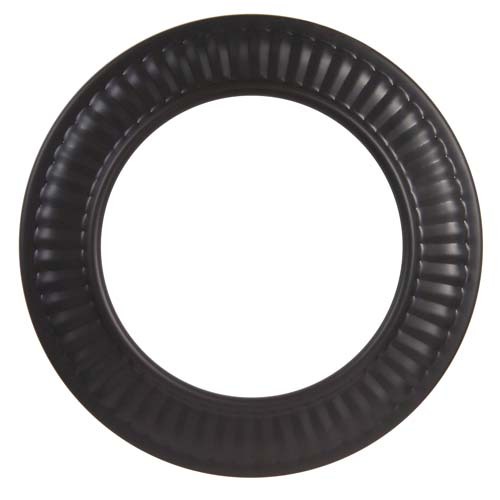 Soften the look of your exposed vent pipes with this decorative stove pipe collar from Imperial. I am looking for a collar that will work with an inside diameter of 8.75" (to go around double wall 8" SS stove pipe). We do not offer any additional sizes for this collar. You may need to have something fabricated locally.